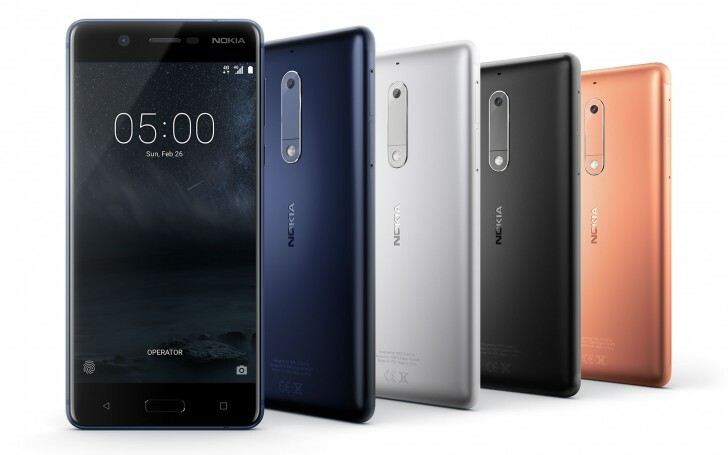 Nokia has launched its new range of Android smartphones in India. 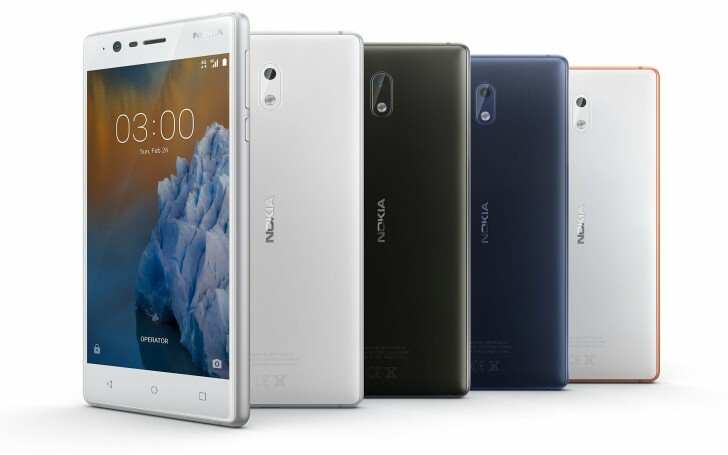 The Nokia 3, 5 and 6 will be joining the erstwhile launched 3310 in the Indian market this week. The Nokia 3 is the cheapest of the bunch and is priced at INR 9499 ($147). The body is made out of a combination of polycarbonate for the back and aluminum for the side frame. It also has a 5.0-inch 720p IPS LCD with 2.5D Corning Gorilla Glass, MediaTek MT6737 processor, 2GB memory, 16GB expandable storage, 8 megapixel f2.0 rear camera, 8 megapixel f2.0 front camera with autofocus, 2630mAh battery, and Android 7.0 Nougat. Nokia 3 will be available exclusively offline starting June 16. The Nokia 5 is priced at INR 12,899 ($200) and will also be available exclusively offline. The unibody design is made out of a single piece of aluminum. It also has a 5.2-inch 720p IPS LCD with 2.5D Corning Gorilla Glass, Snapdragon 430, 2GB RAM, 16GB expandable storage, 13 megapixel f2.0 rear camera with PDAF, 8 megapixel f2.0 front camera with autofocus, 3000mAh battery, and Android 7.1.1 Nougat. Lastly, there is the Nokia 6, which is priced at INR 14,999 ($233) and will be an Amazon India exclusive. It is made out of a solid block of aluminum, and glass and has a 5.5-inch 1080p IPS LCD with sculpted Corning Gorilla Glass, Snapdragon 430, 3GB RAM, 32GB expandable storage, 16 megapixel f2.0 rear camera with PDAF, 8 megapixel f2.0 front camera with autofocus, 3000mAh battery, and Android 7.1.1 Nougat. The phone will be up for registration for the flash sale on July 14. Amazon Prime customers will get INR 1000 off and all customers who sign into the Kindle app will get 80% off ebooks up to INR 300. Because not many buying expensive phones compared to mid-ranger ones. I'm answering Q1: Yes. It's HMD, not Nokia. But if you said it's different team, then no, they are the same team. 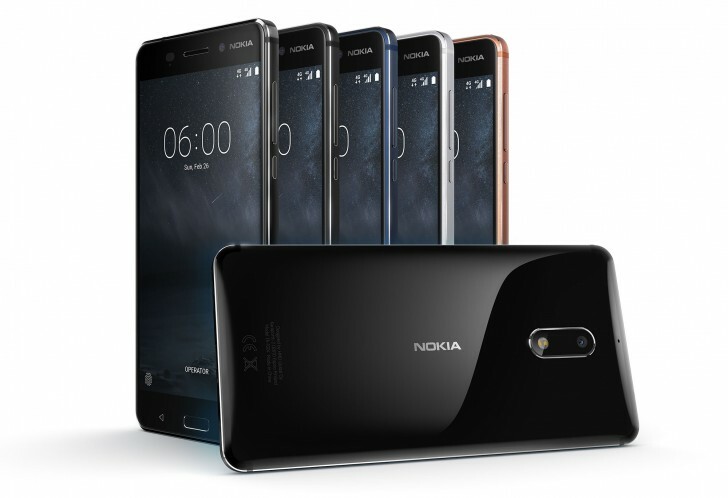 HMD team was composed mostly from ex-Nokia after Microsoft buying Nokia's Mobile Division.